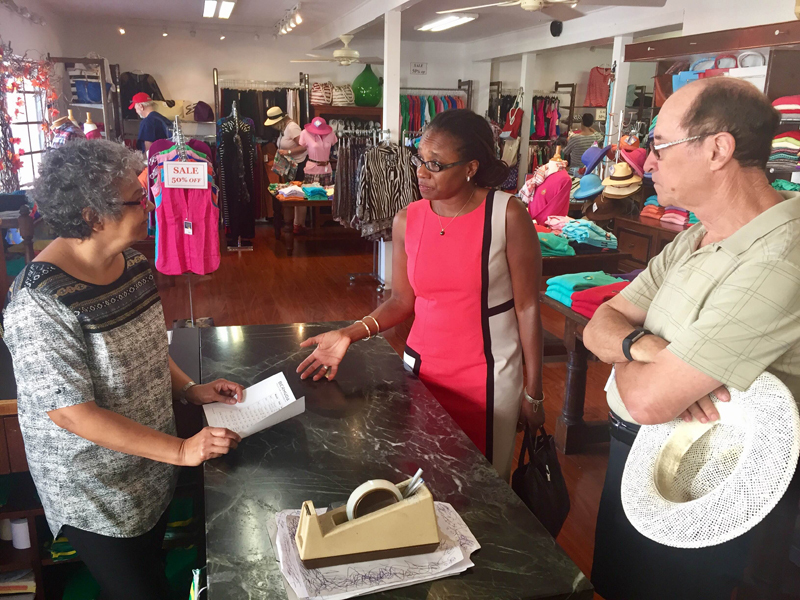 A small team from the Bermuda Tourism Authority [BTA] hit the streets of St. George to get the word out about increased visitor traffic expected in the old town next year. “Cruise calls dedicated to the east end are expected to go from four in 2016 to 15 in 2017,” the BTA said. “We want to make sure everyone is ready to seize this opportunity,” said Chief Product and Experiences Development Officer Pat Phillip-Fairn, who led the team in St. George. 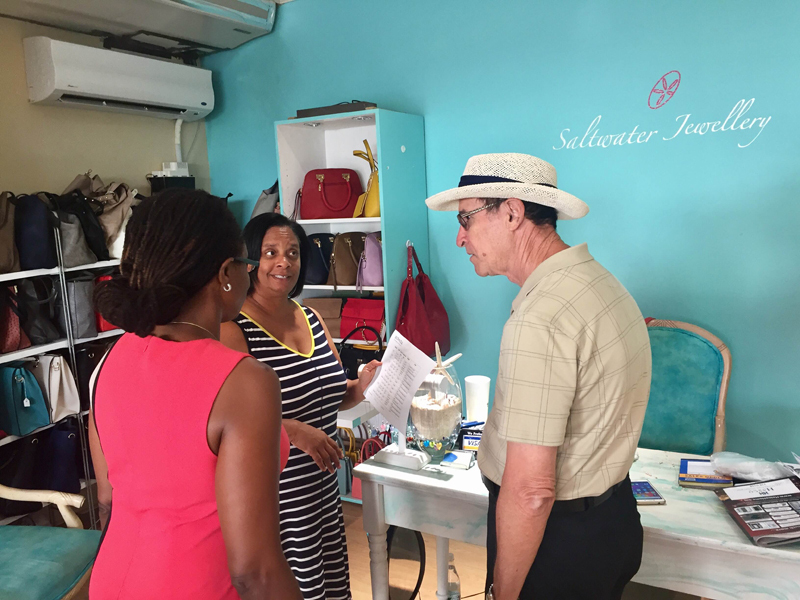 The BTA provided St. George stakeholders with the scheduled cruise calls for their area and encouraged them to arrange staffing levels and opening hours that put them in the best possible position for success. Marine and Ports is expected to make the full 2017 Cruise Ship Schedule available on its website this week. Last week, the BTA and the Ministry of Tourism, Transport and Municipalities announced 16 scheduled calls for St. George and 23 for Hamilton in 2017. “Since then there was a scheduling change and now the expectation is 15 cruise calls for St. George and 24 for Hamilton. There was also a revision to the total amount of scheduled calls. Now 163 cruise ships are expected to call on the Island in 2017, one more than was reported last week,” the BTA said.